Posted by Dan Muir on 7/12/2018, 5:37 am, in reply to "Re: Quiz"
Attached are pics of Katsuragi after the war. Note the Japanese flag and name painted on the hull. 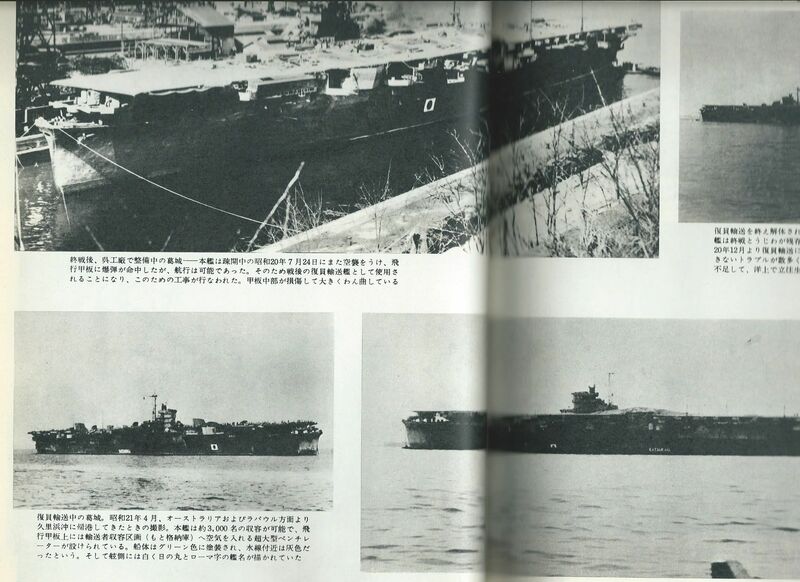 The lower left picture shows numerous structures on the flight deck probably used for bringing people back to Japan.